Scott Hovanyetz is an associate in the Real Estate practice. He has experience advising private equity firms, developers, real estate investment trusts and financial institutions in mortgage and mezzanine financing, construction finance, land and equity acquisitions and sales, ground and space lease negotiation and administration, joint ventures, asset development and management, and condominium development and finance. His practice includes a variety of real estate asset classes, including office, retail, warehouse, and residential and commercial condominiums. 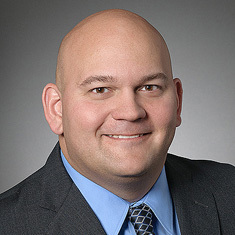 Prior to joining Katten as an attorney, Scott was an associate at Drinker Biddle & Reath LLP. In law school, Scott served as a member of the Seton Hall Law Review.